If you hadn’t heard about the Tuesday Flicktions challenge some of my writing group is participating in, I hope you’ll pop over to Wonderland to read a basic write-up about it why we’re doing it, and to find links to other people’s poems and stories. If you do know about our writing exercise challenge, well, then, below is this month’s image, and the following is my little scribble about it. Enjoy! 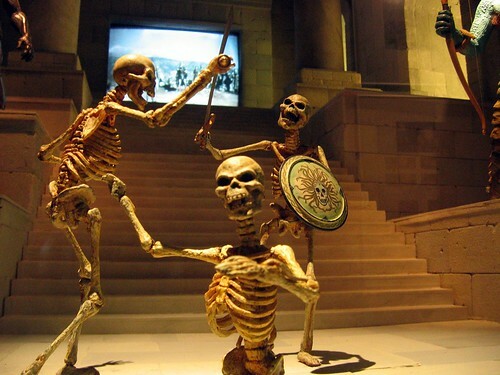 Harryhausen Skeletons, by Flickr user Jürgen Fauth of Berlin. A heavy steam of golden syrup through our single-pane window, the sunbeam pressed me deeper within my nest of blankets, sweetly contented and relaxed. With my father elsewhere, and chores and other duties finally discharged, I was gleefully blessed with time to myself. I turned on our massive console TV to Channel 20, to find the Sunday Afternoon Movie. Always a double-feature, with no commercials allowed, the Sunday Afternoon Movie was pure gold. One never knew which cinematic clinkers would be unearthed each week; they ran the gamut from the Wizard of Oz to Rebecca of Sunnybrook Farm, from Cleopatra to Cat Ballou. While my sisters would skive off to watch more modern shows on my parents’ tiny bedroom TV, I was all in favor of the oldies. If it was, as she called it, a “spaghetti Western,” my mother would settle in behind me, and drop off to sleep on the couch, while I watched with glorious abandon, my permission all but guaranteed by my mother’s insensate body. Though sometimes I was bored (I wasn’t as big a fan of Bridge Over the River Kwai or Lawrence of Arabia), and I spent more time with Shirley Temple and Bob Hope than can reasonably be expected of someone with the intent to retain their sanity, this Sunday afternoon tradition was a rare oasis of calm in a contentious household. This week, there was a pair of adventure films on the bill. In the first, there were interesting costumes and a lot of dialogue – too much for me, so it was mostly ignored. At nine, I was vastly interested only if there would be dancing, animals, or stunts. Robberies, shoot-outs, and kissing scene were where I squinched my eyes closed, and if there was too much talking, I sometimes wandered away entirely. To my mind, this movie had a LOT of talking, but eventually, the bald, eye-glowy guy in fancy robes, the young woman, the other guy in a sort of baggy-ankled pant, eventually got …somewhere. The bald man did things, then disappeared, and then, only the couple were hurrying through a cave made up of improbably sharp stalactites and massive boulders, when suddenly, they come upon a chained dragon, scaly scale flexing mechanically. On cue, the woman gives a sharp, cinematic scream as another monster – a cyclops? – appears. They’re trapped, of course, between greater evil and lesser evils, but baggy-pants has a plan, and he somehow loses the dragon. 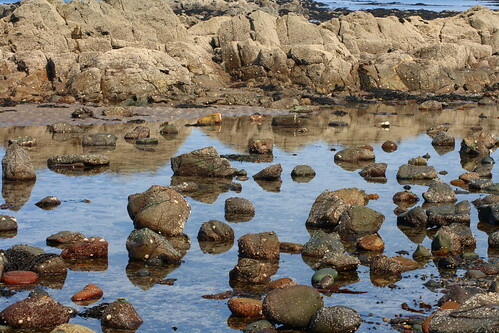 Entranced, I leaned forward, toppled, and sank into the story without a splash. It was a glorious afternoon. The acting was stilted, the monsters, completely ridiculous, and the stutter-step of the stop-motion animation of the skeletons as they emerged from underground and attacked the Argonauts – with eerie screams from what vocal chords? – was both hilarious and compelling. I was hooked, moving closer and closer to the television. I rarely lost track of my father, ever. Knowing his location was important, and as every rabbit watches obsessively for hawks, I watched for him. When he was home, the floor seemed made of glass, being scored by diamond-sharp words and cutting silences. When he drove away, the walls leaned in and exhaled, and chronic tensions which had held the foundations tense shifted, softening the floor and resettling the roof. I held my body to unnatural stillness, pushing internal furniture aside to lock down emotional response and resistance; already a rabbit going limp, even as I fumed that now I would never know how the skeletons got out from underground with shields and swords, nor would I know the outcome of the fight. The Sunday Afternoon movie rota would move on, and they might never show it again. “Naw, don’t remember all of that. That’s the skeletons, though.” He stood, transfixed, and so I turned, too, watching with him as the skeletons leapt in awkward jerky motion, and with voiceless yells, brandished menacing swords. Jason – or Sinbad? – and his men fought valiantly, heroic and dying dramatically, yet emerging at last, triumphant against their deadly wire and plaster foes. When the scene changed, I heard my father shift behind me, and blow out a breath. I sat back again, waiting. 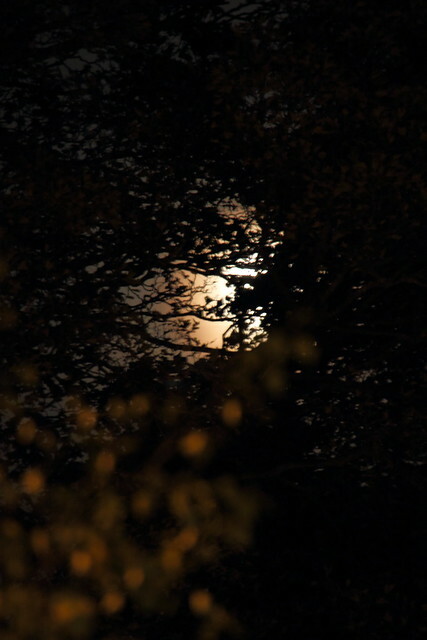 I scrambled to comply, a rabbit streaking for the bushes, now that the hawk has passed by. And so, my father went his way, perhaps to do something important and mystifying with a stub of pencil, grout, and a triangle rule. And, as I sank into the story once again, the foundations shifted, and the floor softened. From above my nest of blankets, the roof resettled. It’s both easier and harder than you think. Write. Just… write. Write without worrying who you will offend (Mom, Dad, God… Wait, are they all the same person?). Write without thinking about what you haven’t read, what you can’t do, where you haven’t been. (All Arthurian epics. Pretend to care about Arthurian epics. The Lake District or all the places in England where epic Arthurians are set.) Write without worrying your worldview will be criticized because it is wrong. (“But… you haven’t memorized Tolkien. How will you know how to write elves?”) Write without censoring yourself, because your worldview is snarky. Writing without using the tools others have used, because your own hands work best. (Scrivener? Who really has time to figure that out…?) Write without setting yourself outside your own work, without subjecting it to the critical, limiting, acidic gaze of Other. Write without holding yourself more accountable than anyone else. Place your feet on the sill and jump. Believe that the air is the same for you as it is for everyone else; that is, that you have just as much chance of falling or flying as anyone else. I don’t want my characters to serve as symbols. I want them to feel like people. I want them to feel like you, and your family, and your friends, and your enemies. And I don’t want them to feel real ‘in spite of’ their challenges. I want those challenges to be part of what makes them real. After all, they’re part of what makes us real. Here’s the thing about fiction. It’s one of the ways we understand the world. We tell ourselves stories to work out who we are, and to make sense of reality. Stories are incredibly powerful – and incredibly dangerous. By making things up you can tell the truth; or you can create, perpetuate and reinforce a lie. Simplistic, tokenistic ‘uses’ of disability in fiction – as though it’s a thing to be ‘used’ and not an intrinsic facet of the human condition – are a way of not telling the truth. And by not telling ourselves the truth in our stories, we make it easier to avoid the truth in our daily lives. Stephanie Saulter, author of GEMSIGNS, guests posts at SF Signal. So, diversity. Suddenly everybody’s talking about it. What’s it for? 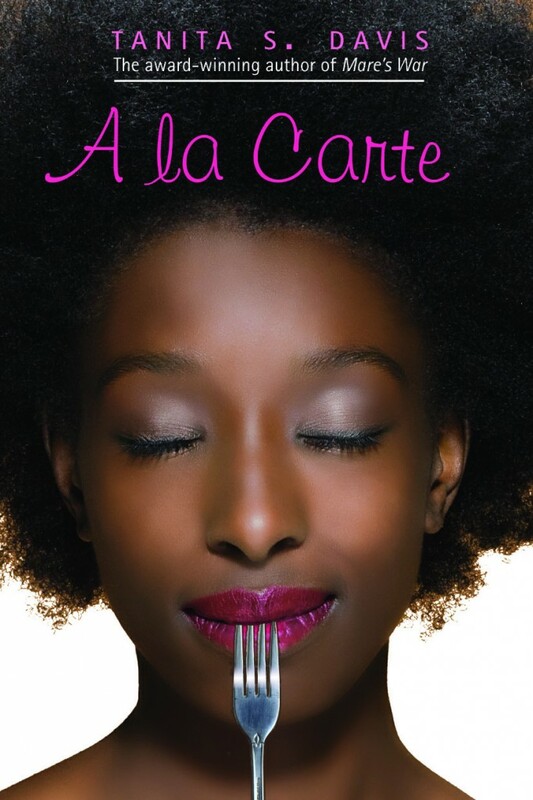 Why do we need diverse books? That, friends, is the question the crew at #WeNeedDiverseBooks wants YOU to answer. Make Noise: TODAY at 1pm (EST), there will be a public call for action that will spread over 3 days. We’re starting with a visual social media campaign using the hashtag #WeNeedDiverseBooks. We want people to tweet, Tumblr, Instagram, Facebook, blog, and post anywhere they can to help make the hashtag go viral. ♦ Take a photo holding a sign that says “We need diverse books because ___________________________.” Fill in the blank with an important, poignant, funny, and/or personal reason why this campaign is important to you. ♦ The photo – family friendly, of course – can be of you, your buds, your stuffed animals, your Barbies, your local library or fave bookstore – and should say clearly WHY you support diversity in kids’ lit. Even a photo of the sign without you will work. ♦ Make Art: There will be a Tumblr at We Need Diverse Books Dot Tumblr Dot Com that will host all of the photos and messages for the campaign. Please submit your visual component by May 1st to [email protected] with the subject line “photo” or submit it right on the Tumblr page here and it will be posted throughout the first day. ♦ From 1pm EST to 3pm EST, there will be a nonstop hashtag party to spread the word. It is hoped that we’ll get enough people to participate to make the hashtag trend and grab the notice of more media outlets. This could be big! ♦ The Tumblr will continue to be active throughout the length of the campaign, and for however long the discussion keeps going, so all are welcome to keep emailing or sending in submissions even after May 1st. On May 2nd, the second part of the campaign will roll out with a Twitter chat scheduled for 2pm (EST) using the same hashtag. 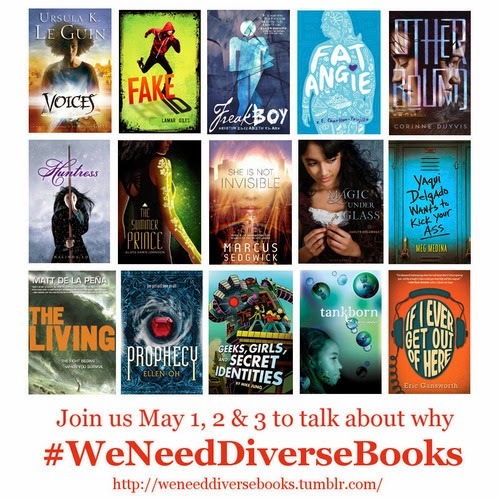 Please use #WeNeedDiverseBooks at 2pm on May 2nd and share your thoughts on the issues with diversity in literature and why diversity matters to you. On May 3rd, 2pm (EST), the third portion of the campaign will begin. There will be a Diversify Your Shelves initiative to encourage people to put their money where their mouth is and buy diverse books and take photos of them. Diversify Your Shelves is all about actively seeking out diverse literature in bookstores and libraries, and there will be some fantastic giveaways for people who participate in the campaign! More details to come! Everybody’s talking about diversity… but is there anything we can really do about it? Let’s find out. Make some noise – so that media outlets will pick it up as a news item. Raise your voice – so that the organizers of BEA and every big conference and festival out there gets the message that diversity is important – and why. We hope you will help spread the word by being a part of this movement. Why do you need diverse books? A few hours ago I learned of the death of author Ned Vizzini, and I couldn’t remember the user name or password for my own blog for over an hour, which gives you some insight into my state of my mind, especially considering that my user name and passwords are at least half a variation of my own name. I remain surprised at the profound stupidity of grief. Blogger (at the time) Alkelda from Saints & Spinners “introduced” me to Ned Vizzini, and over the years we emailed a bit back and forth, talking about books, his, and other people’s. He was a genuinely nice person, always interested in what I had to say – which, admittedly, was usually gushy – and invariably kind to me, and kind about other writers. For my own sake, I will miss that he exists. For the sake of those readers who struggle with depression and who, like me, clutched IT’S KIND OF A FUNNY STORY like a spot-on, pitch-perfect lifeline, I feel with us and for us, an inexpressible loss. I am gutted. Just sick. We speak, this time of year, about joy, but those of us who are mental sometimes have to talk about the fact that you can only have sparkles of light against darkness. We celebrate the return of Sol Invictus against the backdrop of what feels like it could be endless, eternal night. We found a reason to celebrate the longest night, the darkest time of the year. The birthday of the Invincible Sun. Christmas. Yule. We manufactured celebration, when we were in the dark, because human beings are nothing if not resourceful. We chose our celebration. Every day that we get out of bed, those who suffer from depression, in this small way, we choose to manufacture a tiny celebration again. Until it becomes somewhat of a habit. Until the light returns. It matters. We matter. We do. Despite what our brains might be saying. When we feel we are most helpless, let us reach with both hands to help someone else. And, if you can, move. On NPR Krista Tippet does a lovely job with a show called “On Being,” and I tell you, I come up with something new every time I listen. This poem came from a years-ago meme, was passed from blog to blog, hand to hand, but I refuse to forget it, utterly refuse. It is how I want to be – happy, in myself. I honestly do not always love a meme, and I don’t often forward things that other people are blogging or tweeting or passing around, simply because there’s a contrariness within me, and if I’ve seen it once — you’ve seen it four times by now. This piece of wonder went ’round the blogosphere months and months back, but I honestly think it’s worth repeating. Frequently. And to go with it, this semi tongue-in-cheek piece on introversion from The Atlantic, which also bears repeating. Walk away from the crowd of people around you, and listen to your head. People who know me know that I am a Serious Choral Person. Other musicians who have heard me laugh hard have commented that I am indeed a singer. (Apparently one’s vocal register(s) are apparent if one has a good laugh. Beware of joke-cracking musicians; they’re making you audition.) 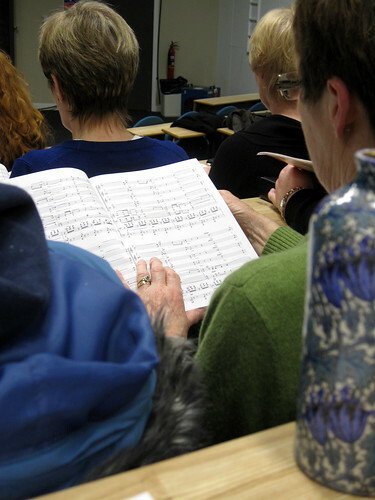 For the last five years, chorus music has been a weekly part of my life, and before that (with a pause of a few years), I sang seriously in college and in high school, with the idea that I might someday want to do so professionally. That didn’t come to pass, but I found myself not disappointed, for music remains within reach. Scotland is a country of choristers, so I am in very good company indeed. Nearly every little village or hamlet has its own singers; every city its choir, every university its community-supported chorus. Mary’s score is open to Vaughan Williams’ To The Unknown Region (based on a poem by Walt Whitman), a song of amazing complexity and gorgeousness. Sure, I’ve had bad experiences in choruses with nasty directors and stressful performances – but those are rare. Despite the lingering terror of the audition (oy), for the last two years I’ve had the joy of singing with the city chorus in Glasgow, and I have met some of the most wonderfully odd, insane, ridiculous, friendly, and talented people from their early twenties to their late sixties…with an emphasis on “insane.” We laugh a lot, in our chorus. And when it is cold and dark, we sing aloud for a couple of hours with friends, and rediscover our humanity… and our endorphins. And, okay, yes: I whine about our chorus outfits – but The Blouse of Purple Hideousness is not that bad. (Hey, it might be short and polyester, but it’s not sequined.) We whinge about standing through a two-hour performance, and complain that “we got that note! It was the basses who threw us off!” but really – who cares whose fault it was? We’ll do it again, work our bums off, until we get it right. We silently stick out our tongues at our director when he berates us for missing an entrance – and then we sing it over again, and come in right on time. We watch the orchestra – distracted by that amazing girl in the brass! – and listen in amazement to the cellists. Whether we’re resurrecting Queen anthems, doing a spot of silliness from Grease or singing the choruses from The Lion King we have fun. And when we sing, we. make. magic. Music is a gift. Singing with a mass chorus is sparkly wrapping paper, curled ribbons, and a glittery cherry on top. For the grace of a song in the dark, for the great chords of sacred oratorio reverberating through my mind as I lay wakeful, from the shuffle-side-step-shimmy-bop of ridiculous of 40’s-50’s romantic odes and beach do-wop, to 60’s dance tunes, 80’s anthems, to handbanging metal and grunge, blood-firing gospel, serene flutes and sitars and the swooping romance of Saint-Saëns, I am indeed grateful.